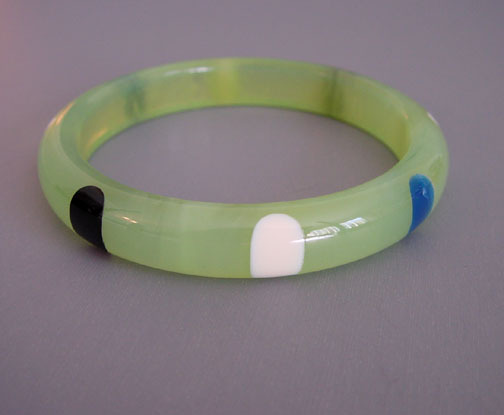 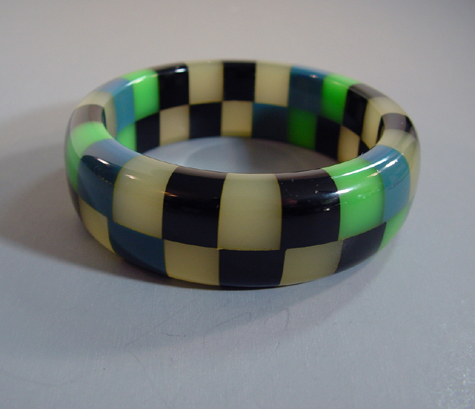 SHULTZ bakelite two row check bangle in smoke, green and blue, 2-1/2" by 1" by 1/3". 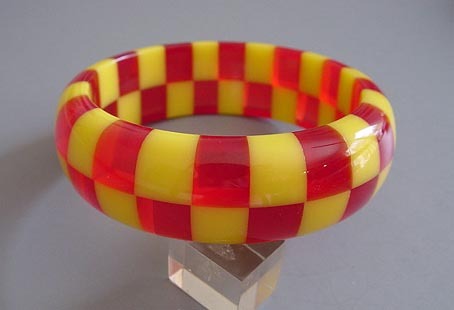 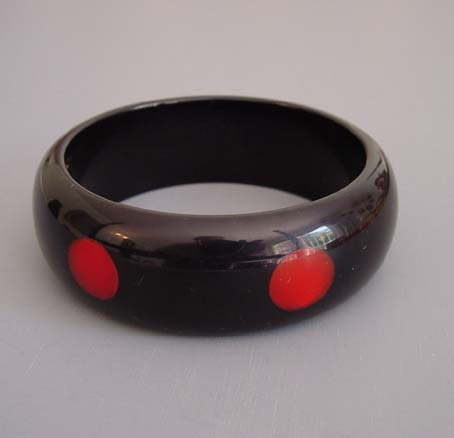 Shultz has been working with 1940s bakelite to fashion it into his own beautiful work since the 1980's. 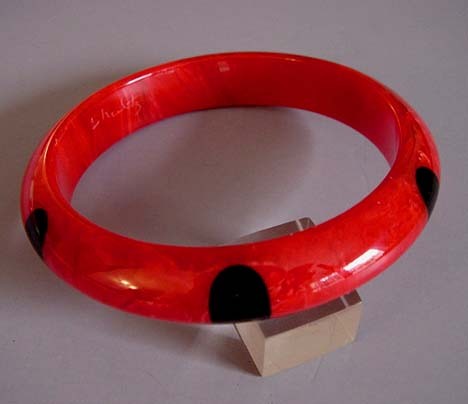 This is signed, as is most of his work.